Admit it: you’ve found yourself completely caught up in the phenom that is Fox’s breakout television show “Empire.” Don’t worry though, you’re not alone: the show was so incredibly popular right out of the gate that the series was renewed for a second season after just 2 episodes. If you need further proof of the show’s ratings preeminence, Fox is going to preempt one of its long-running flagship shows, American Idol, so that the Empire season finale, entitled “Die But Once/Who I Am,” can run 2-hours long. That’s plenty of time for a ton of drama; mischief; deception; comedy; plot twists; surprises; and, of course, music to show up on the small screen. But let’s clear something up right away: if you’re going to host a Empire Watch Party you absolutely must do it justice. 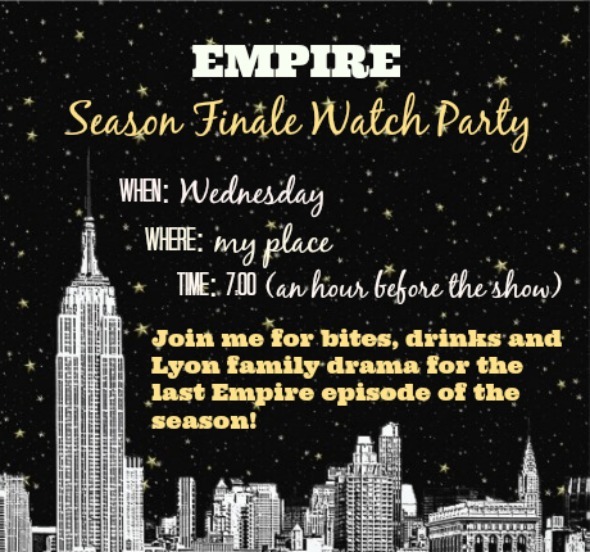 There’s nothing ordinary about the Lyons, so an ordinary viewing party simply will not do. 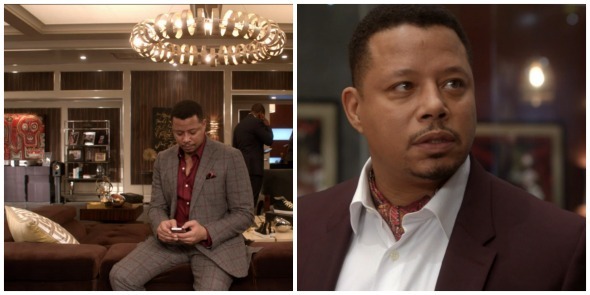 Lucious and Cookie would accept nothing less than hosting the ultimate Empire Season Finale watch party! Not quite sure where to start with the planning? 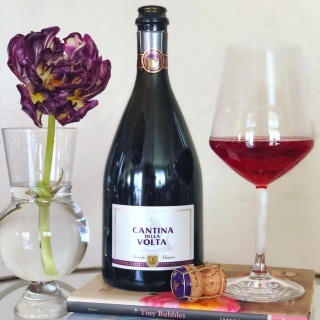 Fret not my dear, because The Bubbleista strives to be your go-to tastemaker and resource guide when it comes to the art of distinctive entertaining. I’ve already done all of the party planning legwork so that all you have to do now is execute. Tone is just as important to a successful song as it is to successful entertaining, and setting the stage early for what’s the party has in store for the evening creates anticipation and excitement. Create a simple invitation with the party details that will generate excitement before the event. Invites can be as simple as using an online invite service such as Paperlesspost.com (one of my favorites) or Punchbowl.com. If time and creativity permits, create your own paper invites that you can mail* or handout in person (*if you’re short on time but would still love to do a paper invitation, you can call or text your guests ahead of time to let them know a paper invite is on it’s way). I’m a big believer in using fresh flowers as a element of decor in general when it comes to entertaining, and one of Empire storylines this season makes these flowers a must: red roses. As a nod to the drama that has started (and is sure to be continued next season) with Cookie/Frank/Teddy McNally, having red roses as part of the decor makes for a great design element. 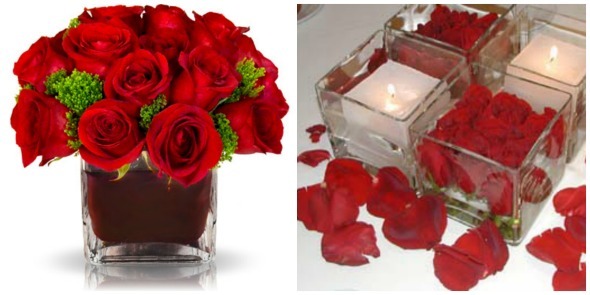 Order a luxe floral arrangement, or do an inexpensive and simple yet pretty DIY project with rose petals, candles, and glass containers. 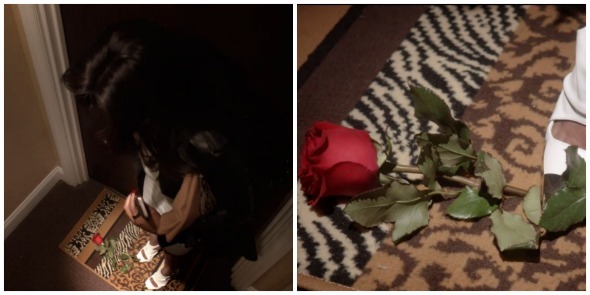 Here’s an idea for a bit of added decor drama: get one super long-stemmed red rose and place it across your front doorstep (be sure to tape it down to your mat) with a note attached that’s signed “Love, Teddy Mac.” Real fans will get the reference and love bringing a bit of Empire off the screen and into real life. Clearly Ms. Cookie loves animal print, especially leopard. The print is on her clothes (like the RED Valentino on the far right), shoes (Louboutin, of course), accessories (check out that fedora), and is even plastered all over her apartment. Be like Cookie and bring a little animal magnetism into your closet. This high neckline leopard skater skirt dress from ASOS is cute, chic, and under $30. And men, you can infuse a little leopard into your wardrobe, too. I love how this guy tucked a leopard pocket square into the top pocket of his cardigan jacket. The square on the far right is from AbsoluteTies.com and is only 5 bucks. When the King of Empire gets it right with his attire, he really gets it right. Case in point: this gray and burgundy wool windowpane suit with the flawless tailoring. The key to emulating his style is patterns; good fit; luxurious fabric; hits of strong color; and accessories like pocket squares, scarves, and ascots. Anika loves form fitting clothes to accentuate her fit and toned physique…as well as to wield a bit of calculated, feminine power too, perhaps? In any case, notice that she typically sticks to solids–fitted and solid colored attire is the way to go for emulating her style. Anika getting all patriotic in form-fitting red, white, and blue. Anika’s red dress is by Ted Baker and is called the “Elena Embellished Midi;” her white ensemble is the Nolan Mini dress; and her navy blue lace & cotton jumpsuit is by Tamara Mellon. RealityTVFashion.com does a great job of discovering where to find the character’s clothing. If you can take your eyes off of Taraji’s amazing figure–and her mean mugging Camilla–you’ll see those bottles of Empire brand champagne and wine. 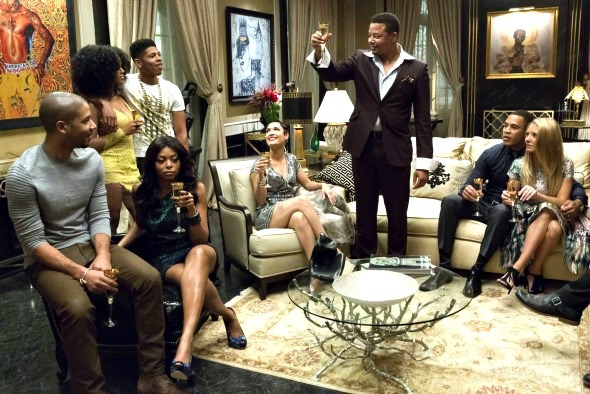 Bubbly features prominently in the Lyon’s lifestyle as evidenced by the company’s own “Empire” champagne as well as the numerous scenes showing champagne being sipped regularly (even at the office). 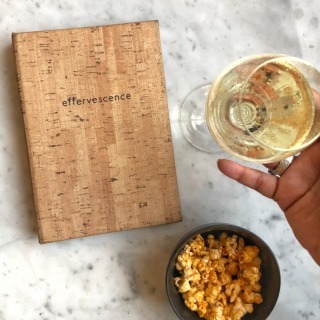 Since there isn’t an Empire Champagne in existence (at least that I know of), some Empire-worthy substitutions are in order, and making champagne and sparkling wine picks are right up my alley. 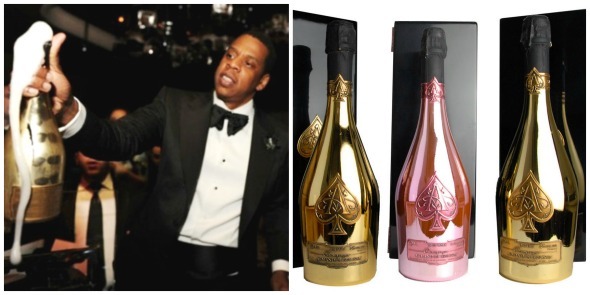 Since it’s been rumored that Lucious’ story is based loosely on the life of businessman and rap mogul Jay-Z, of course the perfect champagne choice would be the Armand de Brignac “Ace of Spades” Champagne which is owned by none other than Sean Carter himself. Get your wallet ready though, because it clocks in starting at $300 a bottle, but for the “I demand the best” character, the price tag alone makes it Lucious-worthy. I’ve actually had the opportunity to drink Armand de Brignac on a couple of occasions (I had the Brut Gold), and all I can say is that it was simply pure pleasure in liquid form. 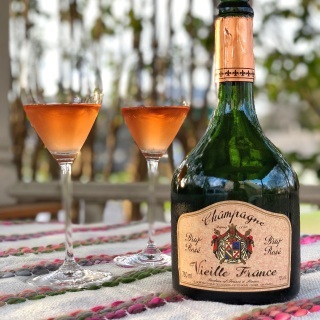 The champagne is lush, full, and has beguiling deep creaminess in the mousse (the bubbly froth) with “toasted bread” richness bit of fruitiness and on the palate. 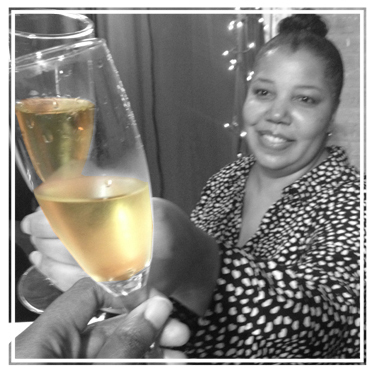 If you are interested in my personal tasting notes on some of these recommended sparkling wines (and others) check out this video I did with AfroBohemianSnob.com, and also follow me on Instagram @TheBubbleista where I post mini-tasting reviews regularly! In episode 3, Andre and Hakeem sip a snifter of cognac together (as you can imagine the sons of a music mogul would do) after a family dinner. 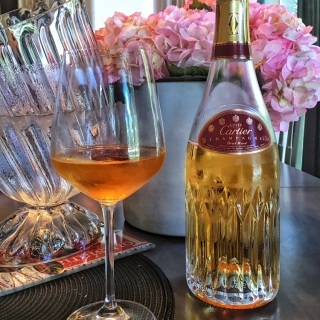 Although there’s no indication of exactly which cognac brand was in the decanter, my creative license and entertaining skills enable me to make great suggestions on cognacs to serve your guests based on the party theme. That said, with the Lyon family’s inclination to do things in big style–and if matching his high-end tastes are what you’re after–go for the Louis XIII de Rémy Martin, which runs $2,000-$3,000 a bottle. 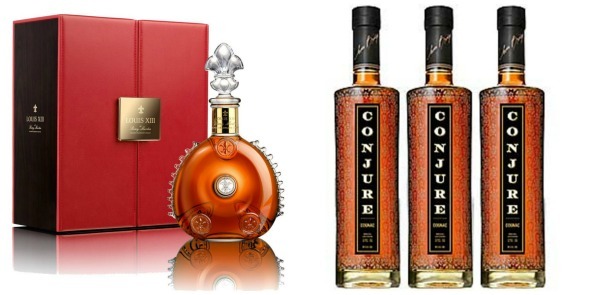 It’s consistently ranked as one of the top 10 cognacs in the world and is certainly befitting “the Lyon King.” For an option that a little kinder on the wallet but just as worthy, pick up a bottle of Conjure cognac made in partnership with rapper Ludacris ($35). Perhaps Ludacris is a future artist on the Empire roster? Time will tell. 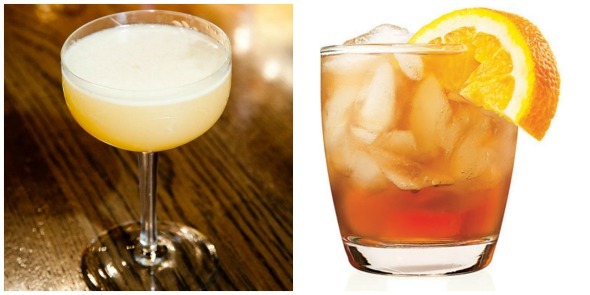 If you or some of your guests aren’t into drinking cognac neat, make some tasty cognac cocktails instead. 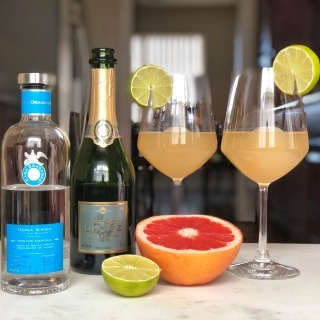 I love the “Belclare” that has cognac, grapefruit liqueur, and absinthe–which is a spirit I love–as well as the sweet-tart “Brandy Snapper” with fresh lemon juice and honey. 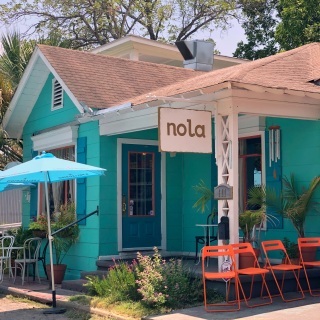 With their “from-the-streets” beginnings and “made it to the top” success, the Lyons are equal parts down home and elite, so when it comes to food for your party simple bites will work just as well as fancy ones. So what exactly does a Lyon eat? In episode 1, after she’s released from jail, Cookie strolls into Jamal’s kitchen and grabs a piece of chicken out of the pot on his stove. I then noticed that poultry shows up a few more times in the series as well: Cookie serves chicken and dumplings to Tiana at a dinner Hakeem skips out on to be with Camilla in episode 4; Chef Roblé Ali (celebrity chef and former star of the hit Bravo show “Chef Roblé & Co”) serves a spicy chicken dish at (what’s supposed to be) an intimate, private dinner for Hakeem and Camilla in episode 7. 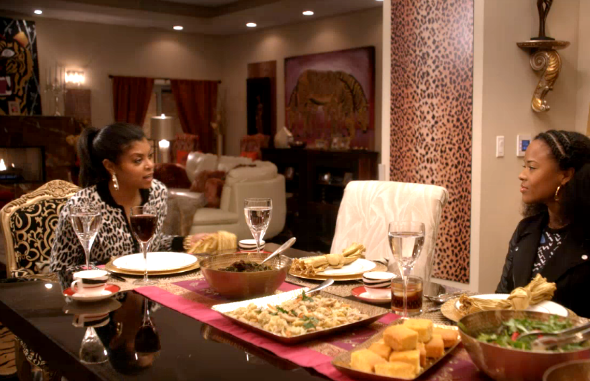 Putting the “cook” in Cookie: she makes a chicken and dumplings, salad, and cornbread dinner for Tiana and Hakeem. Recipe 1: If you want to keep things light and healthy but still flavorful and tasty, this salad hits all of the marks. 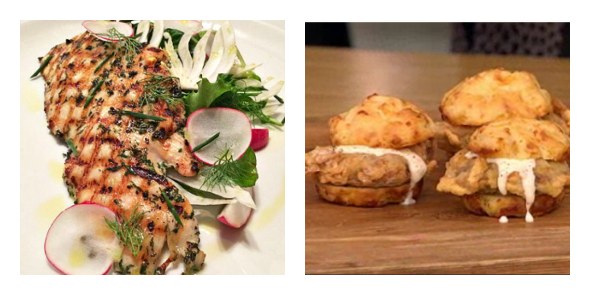 Get the recipe for Herb Grilled Chicken with Salad here. Recipe 3: If Chicken & Dumplings is good enough for Cookie…well, you know the rest. I love that this recipe has homemade dumplings. 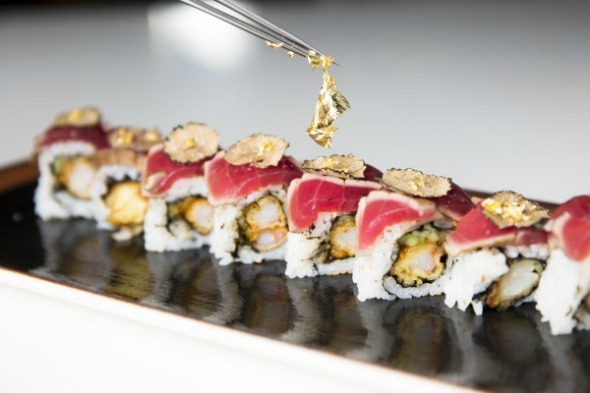 If you happen to live in Brentwood, Katsuya has food already covered for you: they’ve created the “Empire” sushi roll made with shrimp tempura, shaved black truffles, and gold flakes–luxurious ingredients that are definitely worthy of King Lucious. If you’re not in Brentwood sushi still makes a great party food option. Pick up some sushi from the restaurant of your choice and select rolls with luxe ingredients like lobster and caviar to elevate it to Empire-style standards. It goes without saying that a party based on a show revolving around music has got to have some fabulous tunes in the mix, and with Fox releasing the Empire soundtrack today, March 10th, you have more than enough ammo for the perfect musical backdrop for your party. Easy enough. Think about it: who can honestly say they weren’t out of their seats and jamming when Missy Elliot performed during Super Bowl? Exactly. And that’s exactly the vibe your viewing party will have when you create and play a banging soundtrack. For me, attention to detail is a must, and I think having 1 or 2 uncomplicated and entertaining games based on the party’s theme is a fun way to amuse, engage, and delight your guests. pick one (or more) of these suggested activities and let the games begin! *BONUS: If Lucious says the word “music” then you have to drink the remainder of the cocktail you’re currently are drinking! Game 2: Empire vs Character. Real Life Version: I thought this Slate article was interesting, fun, and entertaining, with just the right touch of potential “shade” regarding real life figures who could be the inspiration for Empire’s characters. To turn this into a game, pick a character and have your guests name potential real life celebrities and entertainers who could have inspired them. Tell everyone who Slate picked, then chuckle and discuss. Game 3: BuddyTv.com created a personality quiz “Which Empire Character Are You?” so you can identify and embrace your inner-Empire proclivities. You know, I was thinking. The phrase “In like a lamb, out like a Lyon” is absolutely the perfect phrase to describe this season–including describes Jamal’s coming out to the world–and I strongly suspect that the season finale will live up to that sentiment. With all of my Empire-inspired planning tips and ideas you can make sure your party lives up to the sentiment, too! Going to host a viewing party? 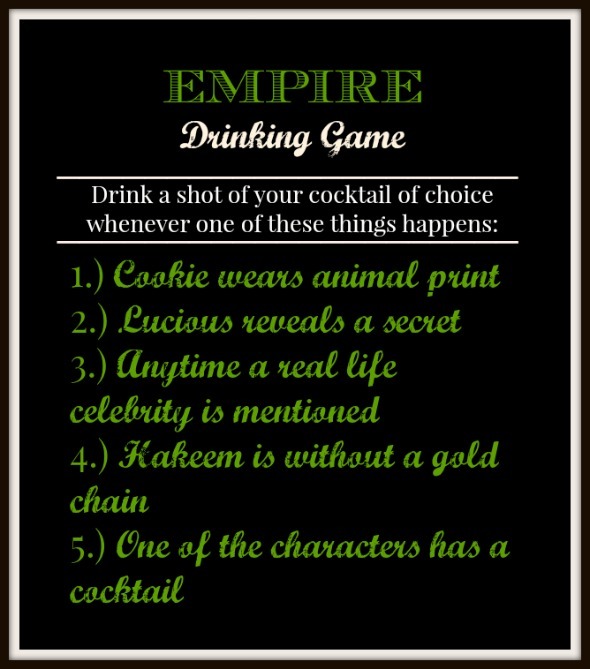 Tag me on your pictures (@TheBubbleista on Instagram & Twitter) with the hashtag #EmpireWatchParty and show off your party-throwing skills!